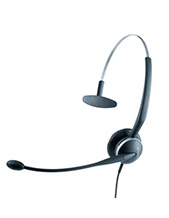 Plantronics Blackwire C3220 Stereo USB Headset is an innovative audio device perfect for knowledge workers who need to be always connected on the phone for an entire day. The device’s connectivity options allow this for users to be possible since it can be connected to several devices, including PC, tablets, and smartphones, and allow users to manage calls from the headset with ease. This flexible connectivity helps in making sure that users can remain connected to the line without hassle. 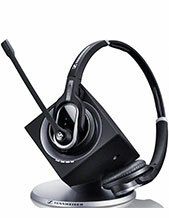 Plantronics Blackwire C3220 Stereo USB Headset delivers more than just connectivity but comfort too. It has easily adjustable microphone boom that can be set however users want it to be and has soft leatherette ear cushions. The metal used for its headband is a lightweight material, which is why users can be assured that it won’t be heavy to wear even for an entire day. It is incredibly portable and comes with a convenient carrying case. 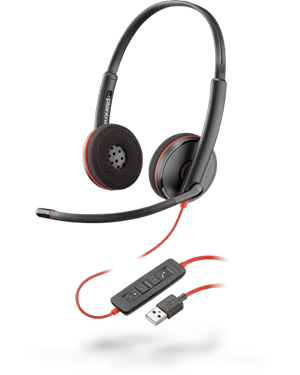 Plantronics Blackwire C3220 Stereo USB Headset delivers the expected superior audio quality with the collaboration of the technologies developed by its company, from noise cancelling technologies to Hi-Fi stereo, PC wideband, and automatic and dynamic EQ feature. Call our company hotline at Australia wide 1300 131 133 in order to find out more information about this product! Plantronics, founded in the year 1961 and headquartered in Santa Cruz, California, is a consumer electronics enterprise that is currently headed by CEO and President Joe Burton. It was established in an effort to produce lightweight headsets in the world of large and bulky headsets. Being the one responsible for doing so, the company did not just introduce lightweight headsets for pilots in the 1960s but was also responsible for Neil Armstrong when he became the first human to set foot on the moon. It was incorporated in the year 1988 and has even improved their operations and product portfolio since then. This is how the company is able to cater to contact centres and offices of all types worldwide. And some of its major competitions in the market include Samsung, Sennheiser, VXI, Skullcandy, Jaybird, Motorola, LG, and Beats. Plantronics has approximately 3,000 employees worldwide. 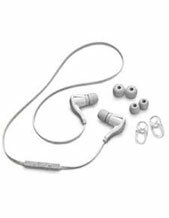 It is popular for offering business and consumers audio products, corded headsets, Bluetooth headsets, gaming headsets, and PC audio devices. Headsetsonline Pty Ltd is popular for its broad selection of high quality audio products and solutions in brand new and refurbished conditions. It is the company customers go to when in search for the most ideal audio and sound products and solutions to cater to one’s needs and preferences. . More than that, the company also makes sure that the products and solutions they offer are Australian standards certified. It also offers high quality services, which have all been polished from its years of experience as a division under a well-known enterprise. Headsetsonline uses its online store to market and provide its products and services. This online store is located in its secured and enterprise-encrypted site, Headsetsonline.com.au. The site is where customers skim through the entire product portfolio and check out the products and solutions they need without having to worry about their private information getting stolen for identity theft and the similar crimes.